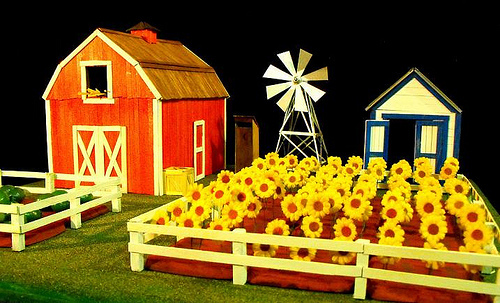 Is The Facebook Farmville Craze A Small Sign of Big Things To Come? I don’t like playing games but it appears that the rest of the world does. Ask me to sit down and play a card game and I would rather go for a 50 mile bike ride. Invite me to play Trivial Pursuit and I will read a book or write an article or watch a DVD.. but that’s just me. I watch with incredulation the ‘Farmville’ players on Facebook that stream into my updates or see the amount of time spent by my son playing ‘Mafia Wars’. The thing is that… even though it is not for me and I don’t enjoy playing virtual games, the reality is that it is having a huge impact on how people buy, act and engage online and offline and cannot be ignored by marketers. The games people play on social media and on the Web and in the real world are creating opportunities and financial reward that have become multi billion dollar industries. 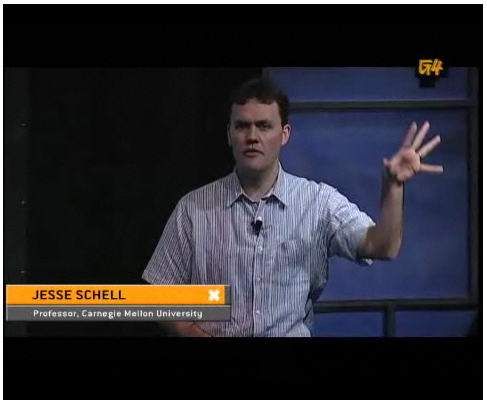 Jessie Schell is the CEO of Schell Games and the ex Creative Director of the Disney Imagineering Virtual Reality Studio has called Facebook three things as well as saying we need to look at the ‘Facebook Math‘ to get some perspective of where the gaming and social gaming is currently and where it is going. 500 million users with the Facebook game Farmville at 70 million players which is larger than Twitter, which is equivalent to one in four Americans. Kleiner Perkins, one of the original venture capitalists behind Google has even said that his investment in Zygna (the creators of Farmville) is the fastest growing investment he has ever made. In that it makes people will apply for a credit cards to earn more and faster virtual points for a social media game or they will spend $20 of real money so they can beat their college friend or room mate and acquire more virtual money or points to win at Mafia wars. That a 50 plus year old male would be fascinated by playing Farmville on Facebook. The psychology that is being exhibited on Facebook is certainly strange. Who would have thought that an inexpensive flash game for kids ‘Club Penguin‘ started in 2005 would be acquired by Disney for $350 million or that that Wii Fit would earn over $1 Billion on its own or the $70 plastic guitar and game ‘Guitar Hero’ would be such a hit. These are all ‘unexpected’. To view more about where Jesse thinks the future direction of social gaming is going and the implications for marketers click here or on the image to view his 28 minute presentation. The implications for this explosive growth is something much bigger than just the gaming industry as the games mechanics and rewards are a strong indication of the purchase impulse. As Rueben Steiger the CEO of the social media agency ‘Millions of Us‘ says. An indication of how seriously gaming companies are taking this, he mentions that Farmville just launched a massive in-store campaign with 7-Eleven that includes broad in-store co-branding while rewarding cash purchases of hot dogs and Slurpees with Farmville currency. More important, however, is applying the lessons being successfully demonstrated by these games to promotional and branding efforts. So even though I may poke fun at Farmville and say “No one cares about your stupid farm” there is a much more serious aspect of social gaming that we have only seen the start of and social gaming should be not discarded or discounted in social media marketing campaigns. Is social gaming changing your behaviour and buying patterns?